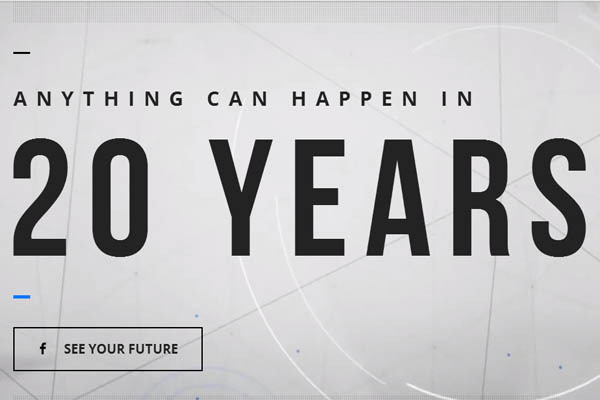 The web is constantly evolving, new trends are being developed every day, responsive and interaction emerge constantly. 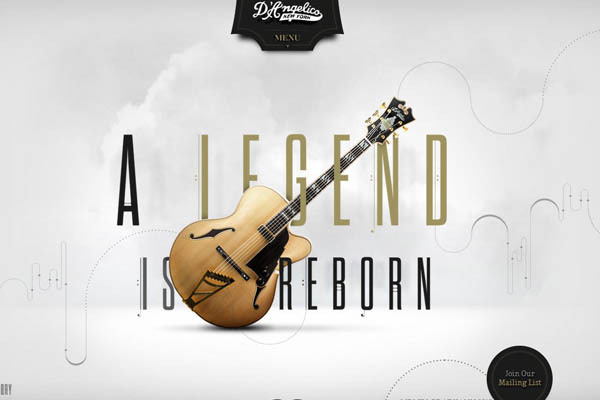 Due to the popularity of responsive and interactive web design, Here we have some inspiring examples of trendy web design, that feature a responsive website layout for your inspiration. 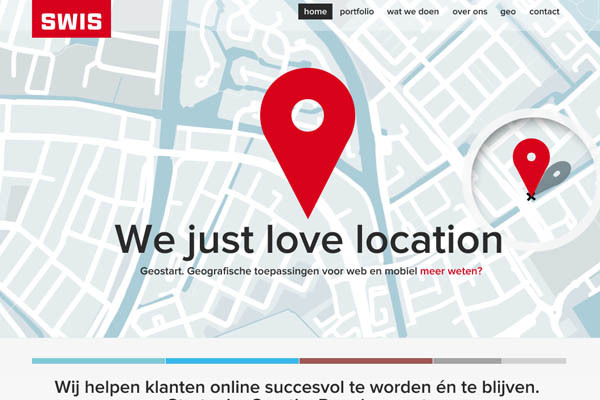 As we know 2013 is the Year of Responsive Web Design, and in this roundup you can enjoy some responsive web design that help to create a great-looking content, making your design looks classy, strong, attractive, mysterious and very striking. 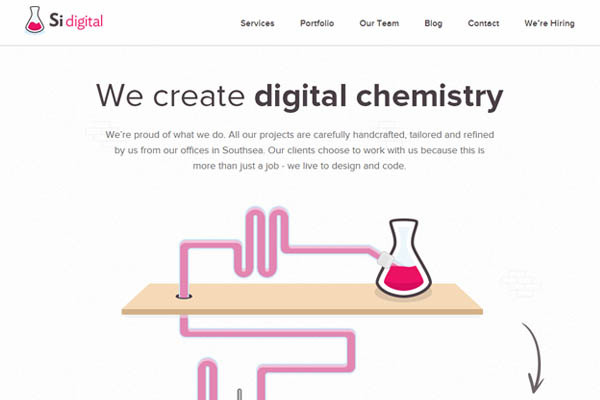 Earlier, We’re posted trendy articles of Best Web Designs, Responsive Web Designs, CSS Web Design, Mobile Web Design, Dark Colors In Web Designs and today we’re gathered 35 inspiring and responsive webdesign examples. 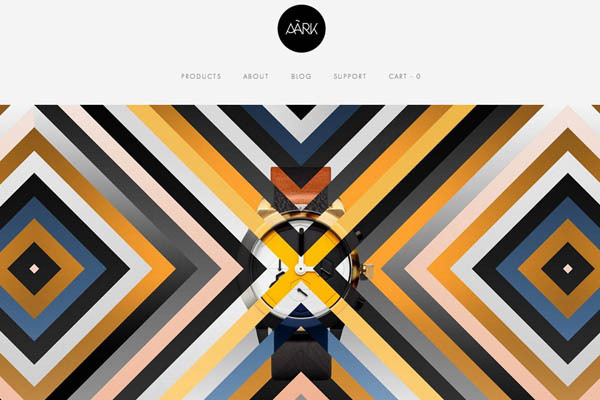 Let’s take a quick look at some amazing new trends web designs to keep in mind when designing your next web project. 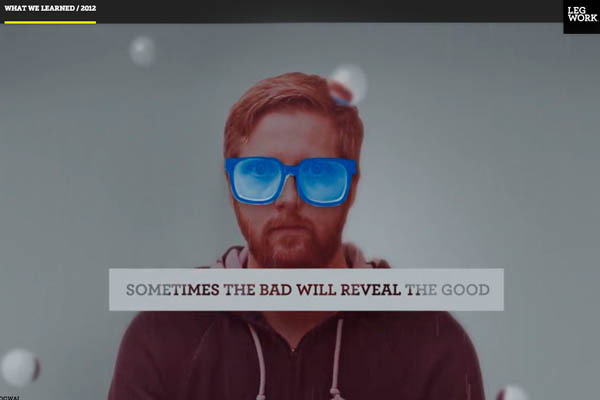 I will put together a list of inspiring web design trends showcase for your and i’m sure you can get great inspiration from these web designs. 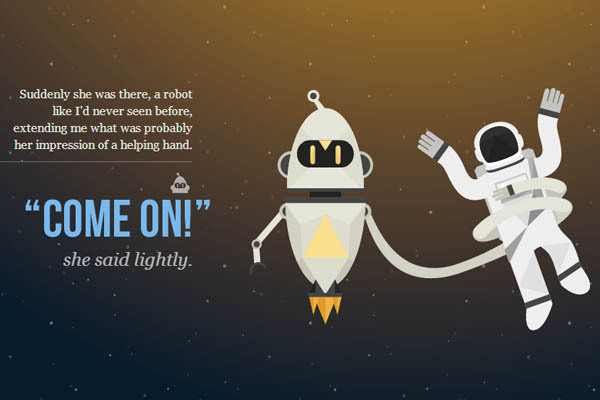 Prospect is an interactive story of the planet prospectors, left behind by NASA to recover the golden objects scattered across the solar-system. Built by 5 students & their professor. Online unique gift making company. Only in 2012, they made more than 50 kinds of souvenirs, which then did not see the market. In particular, individual layouts. 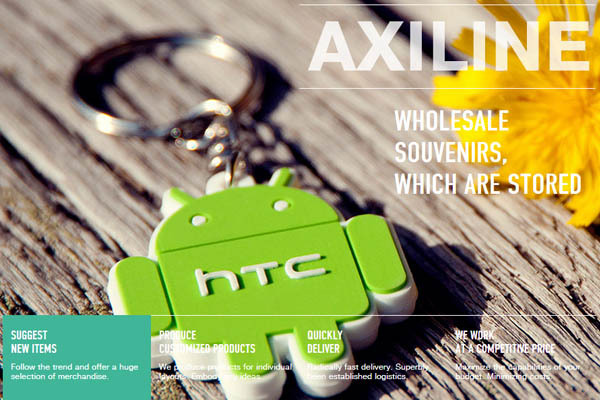 To this end, we are constantly in contact with more than 100 factories in China. 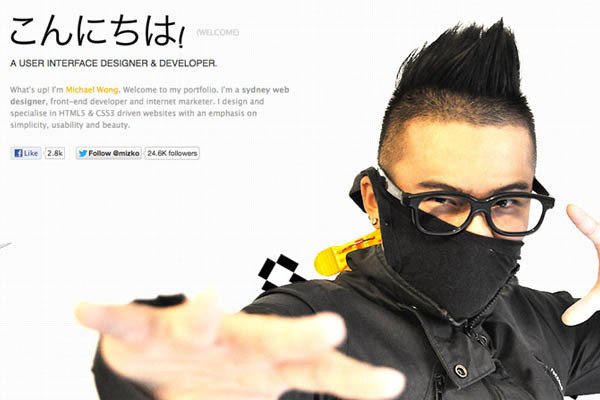 Michael Wong UI & HTML5/CSS3 web designers, front-end developer and internet marketer from sydney. He share useful web design stuff.He design and specialise in HTML5 & CSS3 driven websites with an emphasis on simplicity, usability and beauty. This is the website hosting the agenda for the design internship we’re currrently running. Here, we’ll keep you posted on the progress of the internship. 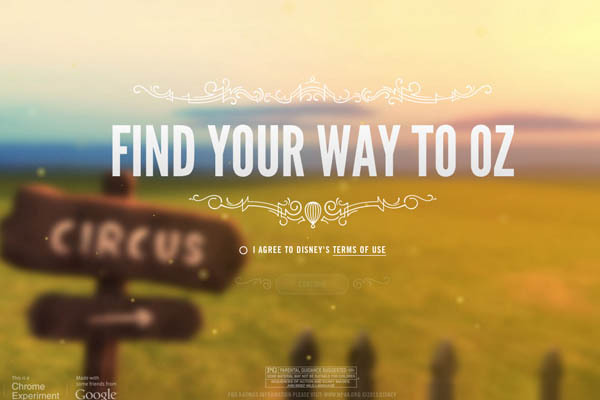 A Chrome experiment inspired by the upcoming Disney film ‘Oz the Great and Powerful’. 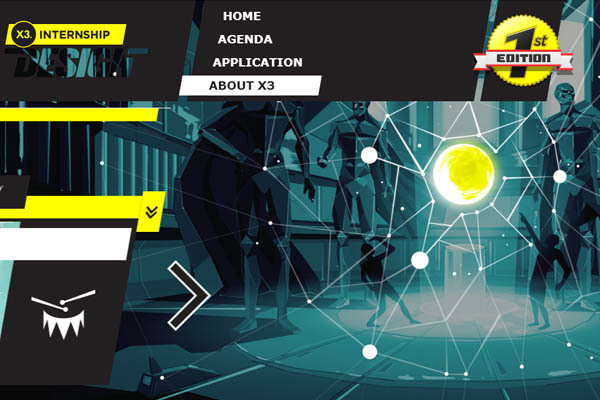 UNIT9 has developed this immersive experience with 3D scenes built entirely on WebGL and CSS3. 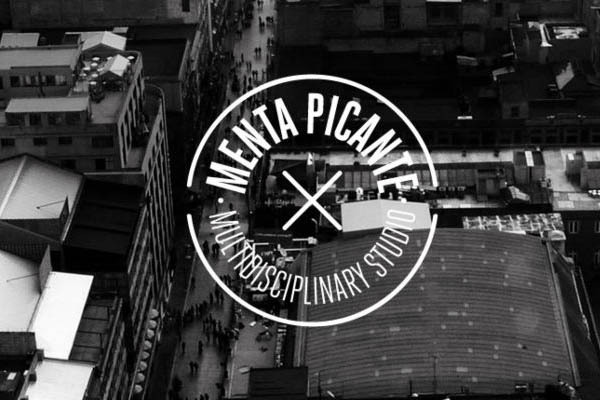 Peppermint is a multidisciplinary design studio, where we do what we like. If you fancy, Engage however, that we do the same. 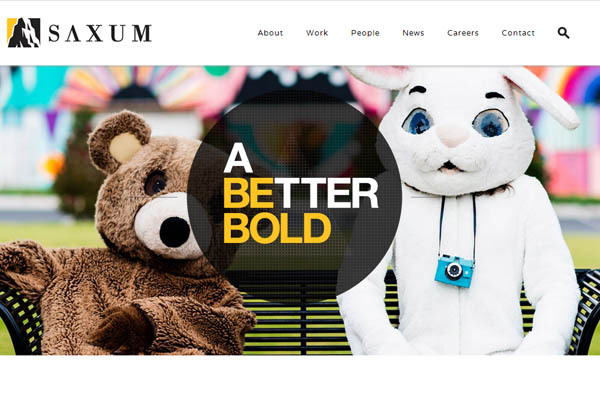 Saxum founded in 2003 by then-25-year-old Renzi Stone, the company has grown from humble beginnings to become one of the leading integrated marketing communications agencies in the Great Plains and one of Inc. Magazine’s 5,000 fastest growing private businesses in the United States. 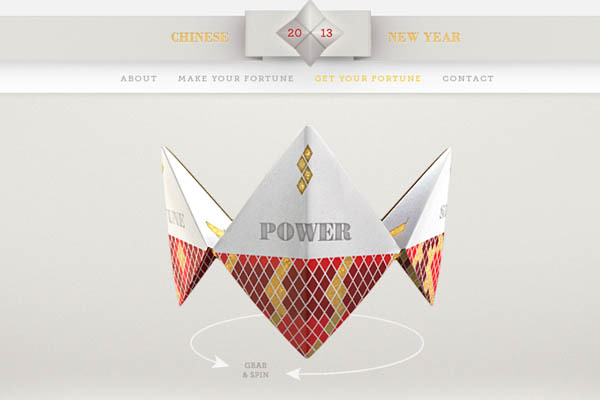 Microsite featuring a fortune-telling snake to celebrate the Year of the Snake 2013. 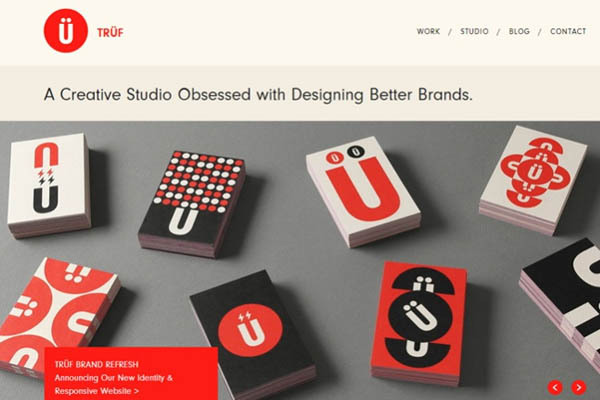 TRÜF is a Creative Studio Obsessed with Designing Better Brands. We create effective and elegant brand design solutions for companies of all sizes, from startups to start-overs. New website for fashion brand Deni Cler Milano. 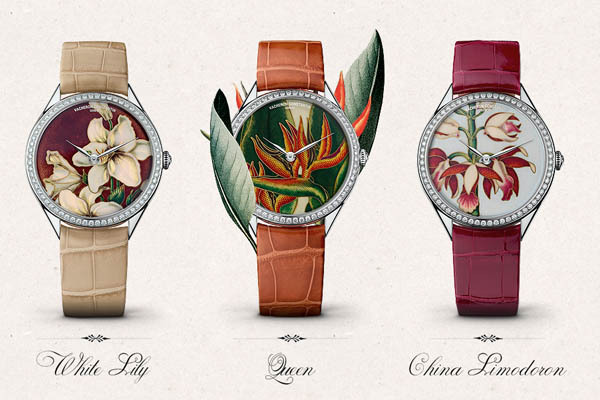 Deni Cler is a story of 40 years of the best of Italian style, quality and elegance. 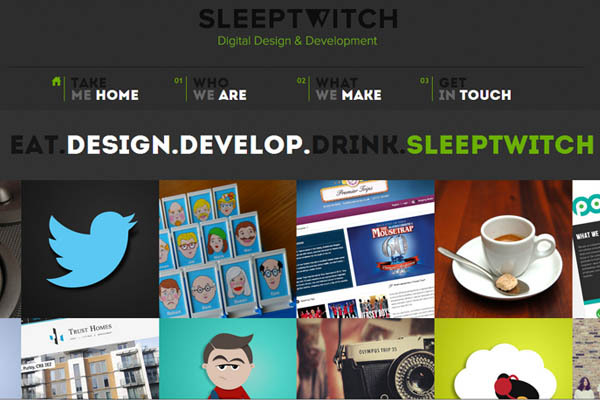 Fully responsive company website for Sleeptwitch digital design and development agency. That creates beautiful tailor made solutions for a wide variety of clients. We develop winning websites that stand out from the crowd and provide effective integrated online marketing and communication strategies that gets your message heard. 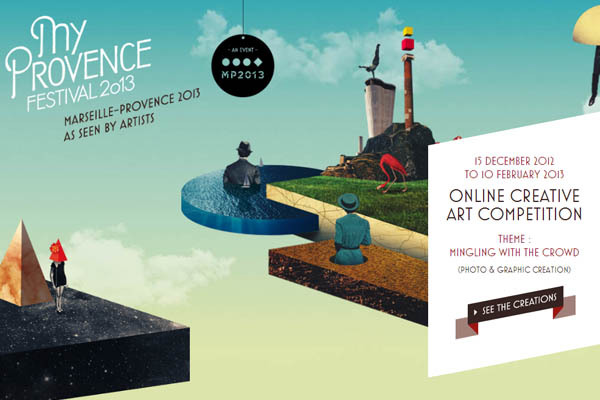 A passionate creative designer and developer from france. 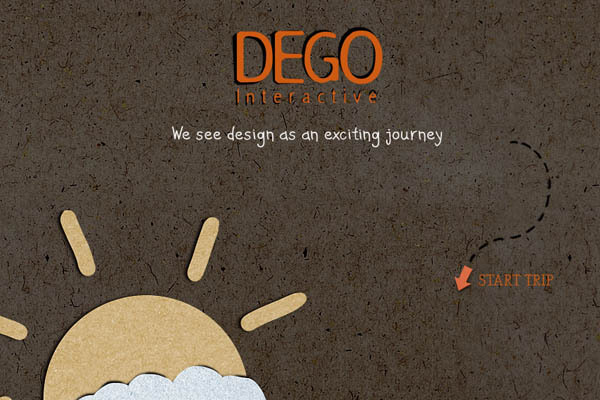 He work in different areas print design, web design and graphics. 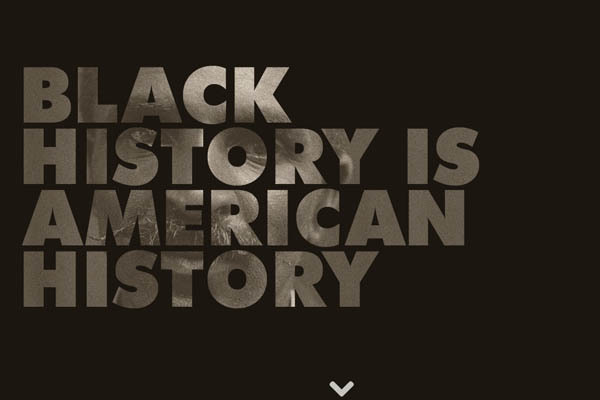 Curating the names of influential Black Americans, past & present, and giving them the recognition they deserve. Because Black History is American History. Site promotes the latest book from Andrew Solomon. 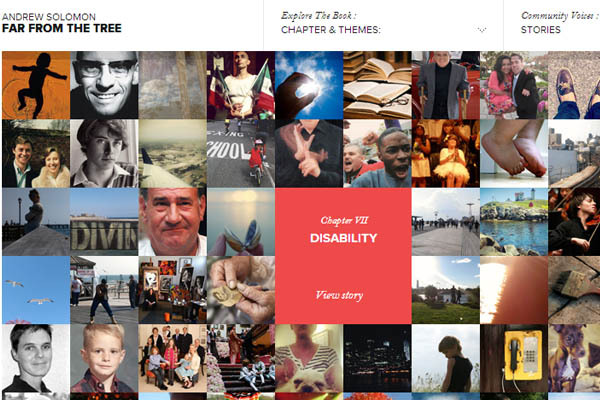 The experience takes users inside the lives of exceptional families, letting them share their own stories of difference along the way. ultranoir put the emphasis on the Denim products unique tailoring. The website revolves around diverting product pages, the jeans and the users are at the heart of the experience. Ever wondered what’s behind an EPIC team ? 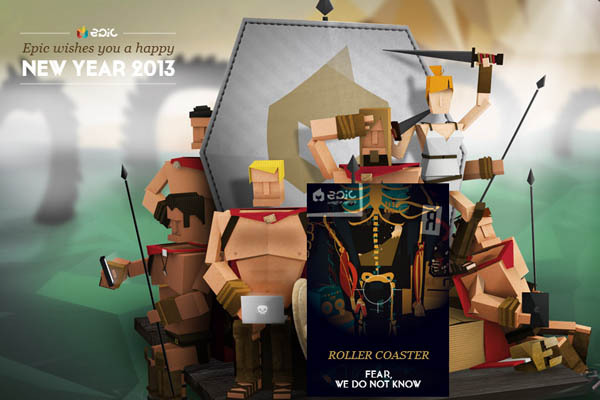 Receive our whishes for 2013, grab you spear and find what we are made of. 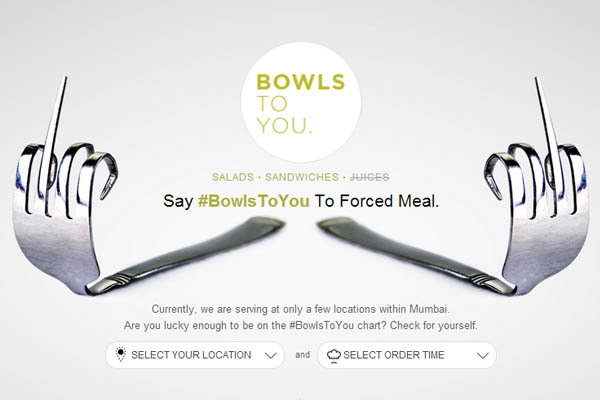 Dig into bowls of healthy salads and sandwiches made by a few selected women blessed with the culinary boon. 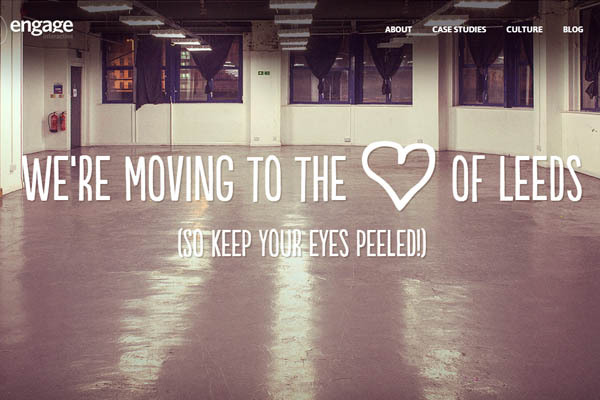 The case study for Love Speeder, an iPhone app-enabled interactive case from Orange Crush. 2007 Dave & Alex set out to build an agency which not only understood the ever-changing digital landscape inside out, but also made working with ‘the web’ an engaging (excuse the pun!) enjoyable and ultimately effective process for all involved. Fleksy is a business website for Fleksy, the revolutionary technology that makes typing on a touch-screen easy. Fleksy is being used today by thousands of blind and visually impaired users to type faster and easier on mobile devices. Like the minimalistic, gesture based Fleksy keyboard, fleksy.com creates a flowing, smooth and beautiful experience without sacrificing functionality, both for users and potential partners and clients. 2012 was an amazing year for us. We think of ourselves as a family and we thought it made sense for each individual Legworker to share a lesson learned in this little retrospective. Si digital are a digital agency who love handcrafting, tailored and refined by us from our offices in Southsea. Our clients choose to work with us because this is more than just a job – we live to design and code. 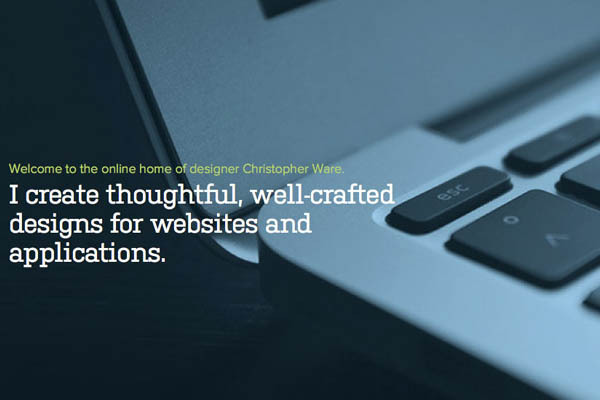 beautiful, bespoke websites and web apps. 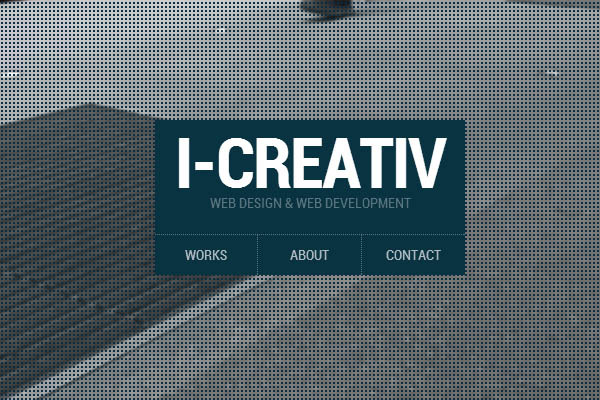 A sleek one-page portfolio built with HTML5 & CSS3, with lots of subtle effects. 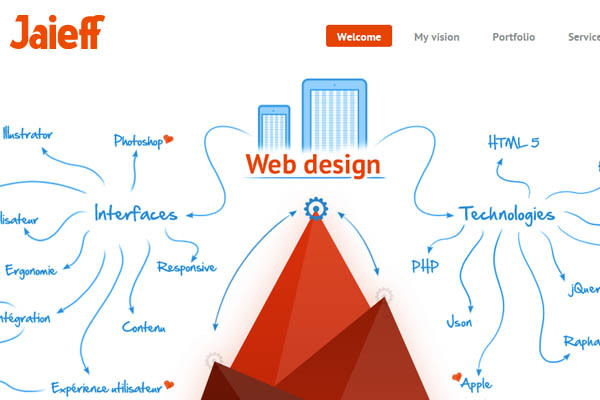 Down to earth web design company helping out clients from concept to realization. emmanuelle.d was born from the wish to offer women Luxury Lingerie with “haute couture” finish in very small collections, using the French Lingerie values, with precious and genuine materials, for a committed style and no compromise. emmanuelle.d is 100% made in france. 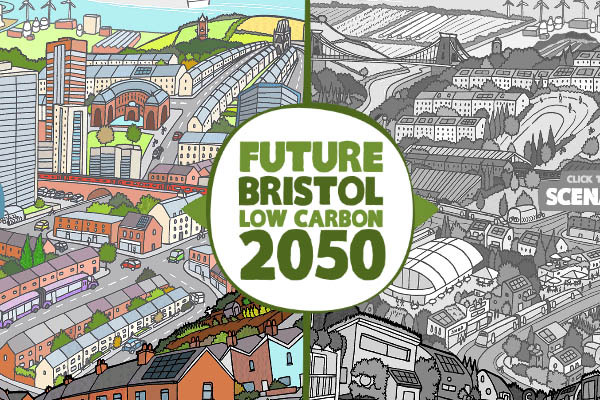 This project seeks to engage the public in what it means for Bristol to be a “low carbon city”, enabling everyone to have their say and help shape the future that we want to see. 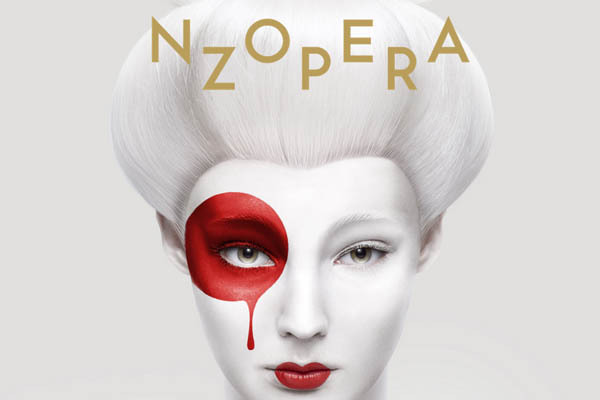 Nice article…. thank you for sharing. Colorful Vector Illustration by Bubblefriends | Graphic design blog, inspiring resoures for designers and developers.